Dancing with the Fredericksburg Stars Is Back! As fall calendars begin to fill up, especially for those who love the arts, plan to be in Fredericksburg on Saturday, October 11th. Better yet, plan to be in Dodd Auditorium at the University of Mary Washington at 7:00 pm for the second Dancing with the Fredericksburg Stars fundraiser! Just last year, the performing arts community in Fredericksburg and at the University of Mary Washington banded together to endow a brand new scholarship in the performing arts. This scholarship is exclusive to students in the greater Fredericksburg community who plan to study music, theatre, and/or dance in college, and to encourage these students to take advantage of the excellent arts programs at UMW. This year, the Friends of Dance's own Florence Ridderhof will be one of the competing stars in the competition that will be hosted by former Washington Redskin's quarterback Darrell Green. Mrs. Ridderhof and nine other contestants will train with Strictly Ballroom Dance Studio for the event and compete for many awards, including the People's Choice Award chosen by the audience. 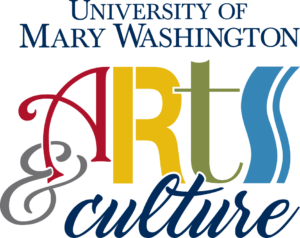 The University of Mary Washington has a bustling community of artists and art enthusiasts; join us in supporting arts education in Fredericksburg!